It’s January in Glasgow, Scotland, where four technicians and two conservators are crouched on the marble floor at the Kelvingrove Art Gallery and Museum, carefully piecing together an ancient jigsaw puzzle of sorts. For five days visitors gathered on balconies flanking the dramatically vaulted room watching the work. Before their eyes, 292 plaster bones were transformed into Diplodocus carnegii, a 14-foot-high, 14-foot-wide, 70-foot-long dinosaur skeleton filling the massive Center Hall, where it will hold court through May 6. Meet “Dippy,” as he is better known, the most famous dinosaur in the U.K.
Dippy’s arrival in Scotland, Andrew Carnegie’s birthplace, comes after three stops across the U.K., and prior to that, 12 months of careful work by conservators to prepare the huge — but delicate — object for its epic journey. The magnificent plaster of paris skeleton has never before traveled from its home in London’s Natural History Museum, not since 1905, when it was first unveiled there — the gift of Andrew Carnegie to the British people. Free to the public at each of its eight stops, the exhibition Dippy on Tour: A Natural History Adventure will travel to every region of the U.K. Just as Andrew Carnegie envisioned when he gifted the cast copy of the original skeleton to the British, Dippy on Tour is meant to spark curiosity about the natural world while helping to bridge differences between peoples with a frankly awe-inspiring symbol of our common history on this planet. 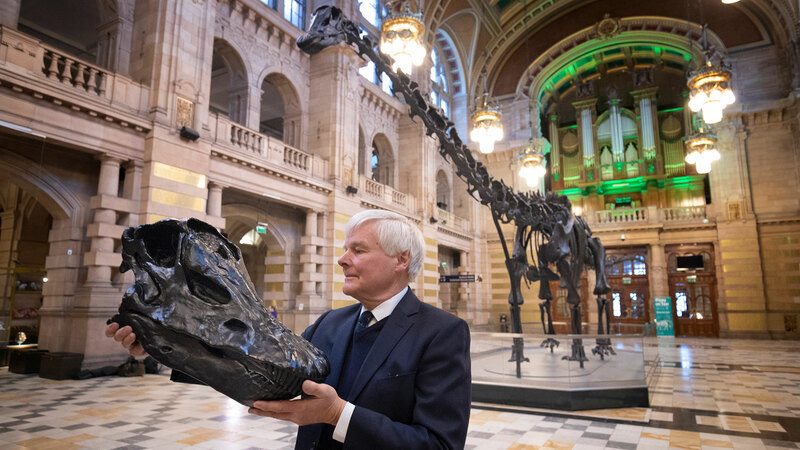 “Dippy has acted as an ambassador for the natural world,” observed Sir Michael Dixon, director of the Natural History Museum, during the opening of the Glasgow exhibition on January 22. Stateside, the original Dippy, a composite skeleton of bones excavated in Wyoming in 1898, has been on display at Carnegie Museum of Natural History in Pittsburgh since 1907. Thought to be between 152 and 154 million years old and perhaps the most famous dinosaur skeleton in the world, the Pittsburgh Diplodocus serves as a beloved mascot for both the museum and the Steel City. “By gifting copies to the heads of state of seven other countries as well as the U.K., Carnegie hoped to demonstrate through mutual interest in scientific discoveries that nations have more in common than what separates them,” he said. An ardent evolutionist, Andrew Carnegie funded paleontology expeditions to the western United States. One such dig uncovered fossils in a Wyoming quarry that would be named Diplodocus carnegii in honor of the expedition’s benefactor. The specimen that was crafted from those fossils has proved to be incredibly important to science as it became the holotype, the original specimen upon which its species is based. 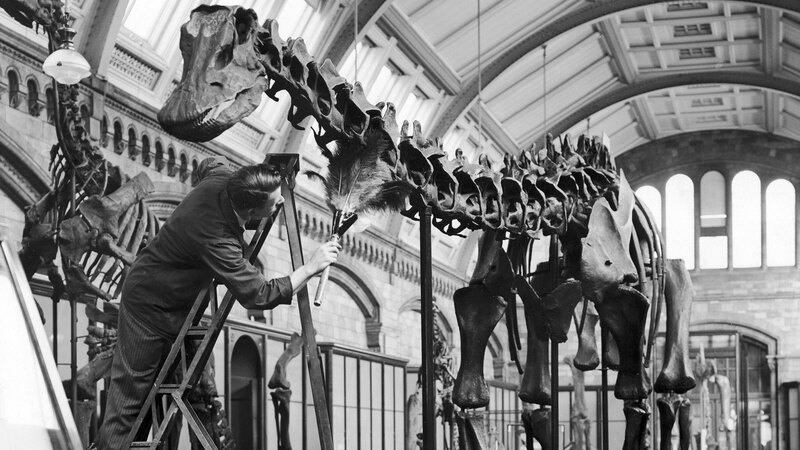 Carnegie funded full-size cast models of that Diplodocus dinosaur and gifted them to museums around the world. His goal was twofold: to spread the advances that scientists were making in their understanding of the natural world, but also to celebrate our shared history and findings, both objectives serving in his eyes as a form of diplomacy. Carnegie believed that celebrating our shared interests and the commonalities between nations would promote peace and understanding around the world, a noble cause at the very core of all of his philanthropic endeavors. A century after his death that work continues in the many philanthropic and educational organizations he founded. Today, Norwich Cathedral, where Dippy on Tour concludes, serves as a place of both worship and learning, and is a fitting setting to bridge the scientific and spiritual questions that arise when contemplating our ancient evolutionary past. The Diplodocus carnegii cast has been the imposing star of Hintze Hall at London’s Natural History Museum since 1979, although his appearance has changed over the years to reflect advances in our understanding of dinosaur biology and evolution — most recently in 1993. Andrew Carnegie’s remarkable philanthropic legacy has also continued to evolve over the years through the ever-evolving work of the organizations he founded. The challenges these institutions address are some of the most intractable and urgent of our time. In this centennial year of his passing, Carnegie institutions worldwide are hosting Forging the Future, a series of events celebrating his commitment to doing “real and permanent good in this world,” while also working to sustain his vision and his legacy into the 21st century. 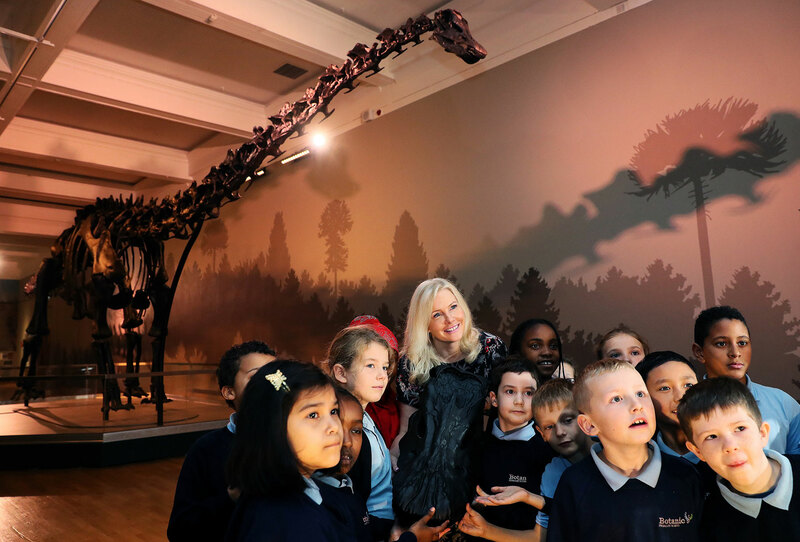 The wildly popular Dippy on Tour exhibition is part of the Forging the Future series, which commemorates and expands upon Andrew Carnegie’s lasting achievements in peace, education, the arts, science, culture, and philanthropy. The Forging the Future series will culminate with the Carnegie Medal of Philanthropy awards ceremony in New York City, on October 16, 2019. Dippy will definitely be there in spirit. On May 17th, 1848, Andrew Carnegie ventured beyond the borders of his hometown of Dunfermline, Scotland, for the second time in his life. That day his family set sail from the Broomlielaw of Glasgow and began a seven-week voyage to Pittsburgh, Pennsylvania. Carnegie wouldn’t return to his hometown for 14 years, but he never forgot his Scottish roots, and it is clear that Dunfermline maintained a special place in his heart. 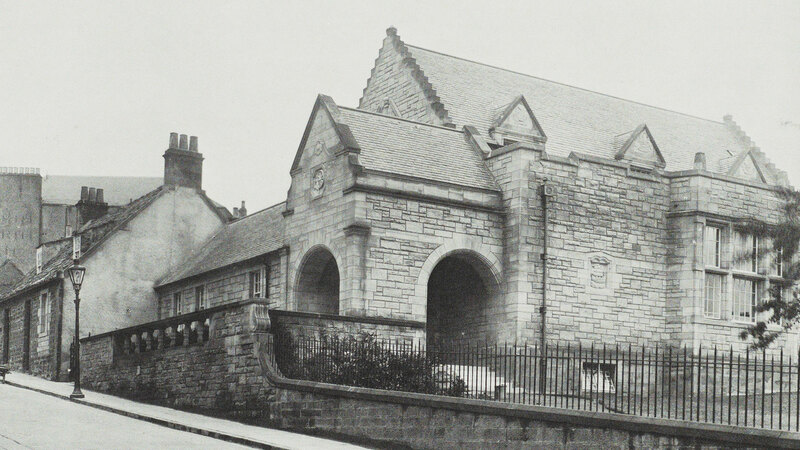 In 1874, Dunfermline received Carnegie’s first public gift, and nine years later it became home to one of Carnegie’s first storied public library buildings. Upon acquiring his wealth and retiring from business, Carnegie set about in earnest to distribute his fortune. His most significant contribution, both in money and enduring influence, was the establishment of several trusts. While many of these trusts focus on national and global initiatives, Carnegie created the Dunfermline Trust in 1903 with a specifically local focus. Endowed with roughly $4 million, the Dunfermline Trust had the sole mission of helping Andrew Carnegie’s small hometown meet the needs of its people. Today, the Trust has become tightly woven into the community of Dunfermline and distributes targeted grants which address issues of health, poverty and general wellbeing in the community. An important initiative for the Trust is a focus on mitigating loneliness among seniors in Dunfermline. Just this year, Carnegie Dunfermline Trust collaborated with Contact the Elderly, a national charity, whose volunteers organize monthly Sunday afternoon tea parties for elderly community members. Contact the Elderly has two chapters in Dunfermline, each with a dozen members who are mostly in their 80s and 90s. With the funding provided by the Trust, members of the two chapters – who would not ordinarily meet – have had the opportunity to connect and take a nostalgic trip on a steam train to the historic Bo’ness and Kinneil Railway. The educational game, entitled “The Legacy,” provides students with a fun learning opportunity, and a chance to revise what has been covered in the classroom. The comprehensive module illustrates the impact of small philanthropic giving and kind actions and provides schools with free educational tools, including class presentations, activity sheets and a virtual reality computer game modelled on the Andrew Carnegie Birthplace Museum. The educational program is specific to the local curriculum for the time being, but the Trust is planning to further revise the game and associated materials for use in other school systems in the United Kingdom, the United States, Canada, and beyond. At the end of the 19th century, the last Russian Tsar, Nicolas II, initiated an international peace conference with the aim of stopping an ongoing series of wars in Europe. In need of a neutral venue for peace talks he approached Queen Wilhelmina of The Netherlands to host the conference. Consistent with its policy of neutrality, the Dutch government agreed to serve as host for the peace conference. Many issues were discussed, but one crucial notion followed from the conference: Peace through Law. Humanity would be saved from warfare, loss of lives and goods, if battles were no longer fought on the battlefield, but in the courtroom. A Permanent Court of Arbitration and international laws would be established to prevent political conflicts from becoming violent. To host this court, a new building would be constructed to serve as a symbol of world peace – the Peace Palace. In need of funding, Queen Wilhelmina of The Netherlands wrote a letter to Andrew Carnegie. He responded favorably to the call and donated $1.5 million to construct the Peace Palace. To manage his donation, he created the Carnegie Foundation in 1903. The Peace Palace opened its doors in 1913, a day Carnegie described in his diaries as “the happiest day” of his life. A century after Andrew Carnegie’s passing, the Carnegie Foundation still owns and manages the Peace Palace. Today it continues its mission as a “temple of peace and justice,” to prevent conflicts, to solve conflicts peacefully, and to promote world peace. 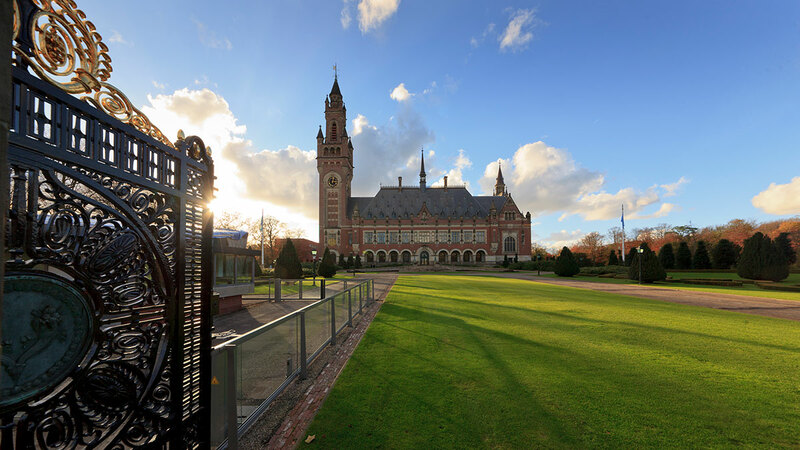 Along with the Permanent Court of Arbitration established by the First Hague Peace Conference of 1899, the Peace Palace also houses the International Court of Justice. This Court is the main juridical organ of the United Nations, making the Peace Palace the only building outside New York that hosts a principal organ of the United Nations, mentioned in the UN Charter. In September, 2017, the Carnegie Foundation signed the Sustainable Development Goals (SDGs) Charter of The Netherlands, thereby committing to the promotion of progress on the internationally agreed development goals. A central issue to these goals is the promotion of peaceful and inclusive societies – United Nations Sustainable Development Goal 16. “These goals provide an excellent framework for dialogues on the future of the world. 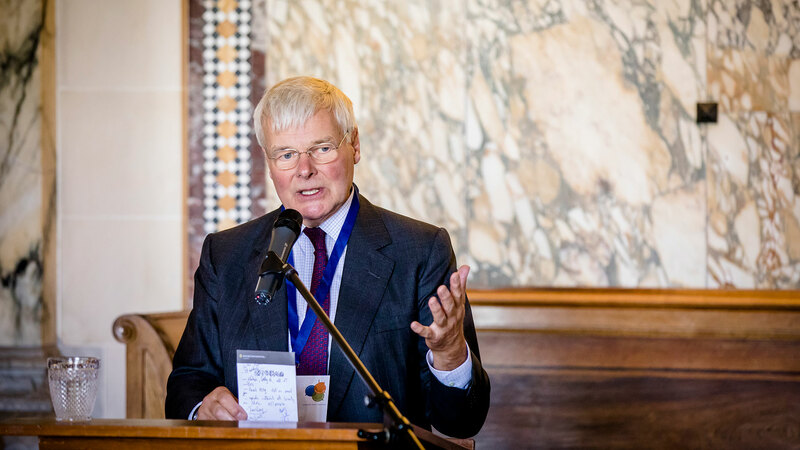 Especially ground-breaking in the SDG’s is that a specific goal is set to promote Peace, Justice and Strong Institutions: Goal 16,” said Erik de Baedts, Director of the Carnegie Foundation- Peace Palace. In September 2018, the Carnegie Foundation – Peace Palace took another step in its commitment to the SDGs. 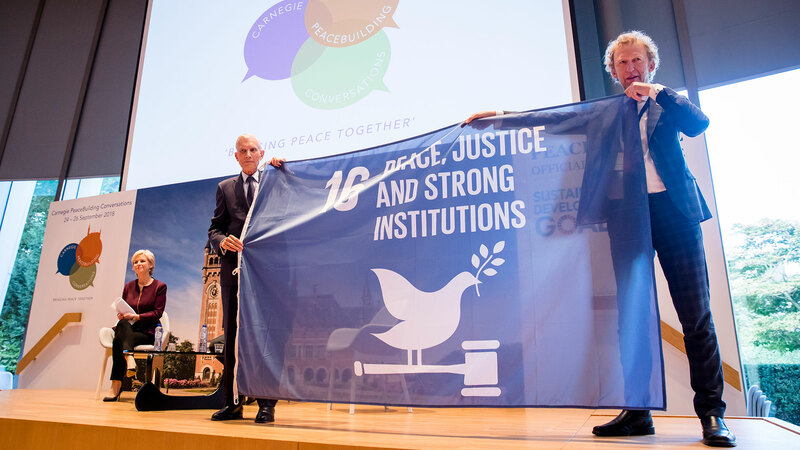 During the Carnegie Peacebuilding Conversations event series Hugo von Meijenfeldt, SDG Coordinator of the Netherlands, joined Erik de Baedts and Carnegie Foundation Chairman Dr. Bernard Bot on stage to announce the Peace Palace as the international SDG 16 House. As the international SDG 16 House, the Peace Palace will serve as the official convening location for dialogue and events on the promotion of the SDGs, including the integration of SDG 16 with the other sixteen SDGs. The Peace Palace has committed itself to promoting progress on these imperatives, and to linking the sixteenth SDG, “Peace, Justice and Strong Institutions,” with the other SDG goals such as No Poverty, Zero Hunger, Quality Education, Gender Equality, Clean Water, and Climate Action. Can you give us a brief overview of your association with the institutions your great-grandfather, Andrew Carnegie, established? I have been a trustee of the Carnegie UK Trust since 1982. At first, I was a trustee, then I became a convener of one of the Trust’s policy sections, then vice chairman, and eventually chairman. 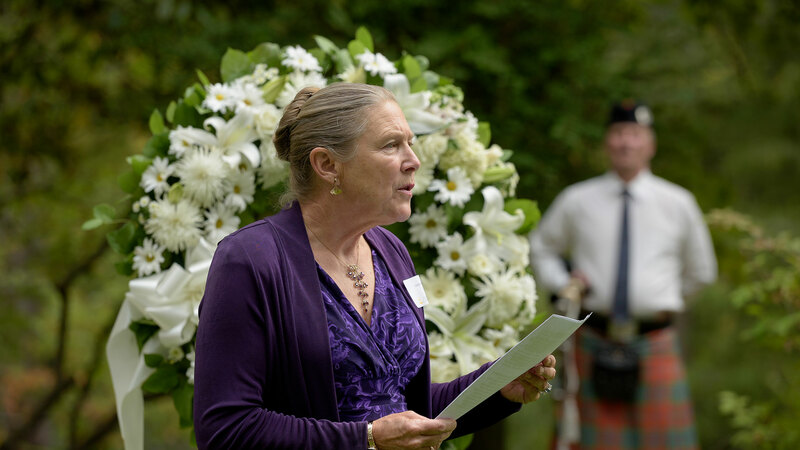 After dedicating five fruitful years to the Trust I took a step back, but the Trust wished to continue the family connection and very kindly asked me to become honorary president—a role I’ve held ever since. Why did you want to be a part of the Carnegie UK Trust? I didn’t expect to have a connection with the UK Trust. I knew that my mother had been a trustee, but she died very young, and at that point my father became a trustee. I certainly didn’t expect it, but they approached me, and we both wanted to continue the family connection. I hope they haven’t regretted it! Why did Andrew Carnegie establish the Carnegie UK Trust? The Carnegie UK Trust, established in 1913, was one of the last trusts Andrew Carnegie created. His active philanthropy really came to an end when the first world war started in 1914. Andrew Carnegie was concerned that the trusts he had set up for Britain, Great Britain in those days, were too focused in Scotland. At the time, he had already established the Carnegie Universities Trust, the Dunfermline Trust— which was extremely important because it covered his hometown of Dunfermline and the surrounding area— and, of course, he had the Hero Fund which covered the whole of Great Britain. He and, I think, some of his advisors in Dunfermline were concerned that the remit of the Dunfermline Trust was too narrow, and we needed to do something that was much more encompassing of Great Britain as a whole, so he set up the Carnegie United Kingdom Trust. As always, he tended to keep these things relatively simple; so, it was made to be for the benefit of all the people in the UK and Ireland. What do you believe Andrew Carnegie’s legacy is? The legacy of his philanthropies is varied across all the different interests the Carnegie institutions are responsible for, and one enormous legacy is that of philanthropy in itself– the idea that people who accumulate great wealth also have a responsibility to see that that wealth goes back into the community, for the benefit of mankind. If we go back to what Andrew Carnegie did, it was very much underpinned in his belief that mankind could always go onwards and upwards to achieve greater things, greater purity, greater nobility. He had a belief, and his trusts are very much pitched toward, this idea of “real and permanent good,” whether they be about education or otherwise. How is the Trust forging the future of that legacy? The Trust examines issues which may not yet be relevant today, but it tries to look to the future and work toward policy solutions for the problems of tomorrow. In some ways it’s comparable to a think tank, but in other ways it’s more than that— it’s looking forward and figuring out how to deal with future problems. What does that legacy mean to you? Of course, I’m very proud of the legacy of Andrew Carnegie, but in many ways, it also makes one quite humble. I know I’m only a family representative— I’m not the person who made the money — and so for me, what I want to do, and I think this is shared by other members of the family who are involved in the Trust, is just help continue his legacy. It’s not about us, it’s about his legacy and the work that is continuing to help others today. What is your vision for the future of Andrew Carnegie’s legacy? One of the most important developments we’ve had over the last 10 years, is that the Carnegie institutions now talk to each other. Now, they can cross-fertilize in their programming and create new programs by combining expertise in different areas. In this sense, establishing the wider brand of Carnegie has been important, and one can’t deny the role too of the Carnegie Corporation in the way it has assisted other foundations both financially and through its advice and guidance. I hope this continues, and for the individual institutions Andrew Carnegie established to continue forging the future— together. I first became involved with the Carnegie institutions when my cousin William Thomson invited me to the Carnegie Medal of Philanthropy event being held in Scotland in 2005. At the event my daughter and I were introduced to Mark Laskow and others from the Carnegie Hero Fund in Pittsburgh and they told me I’d have to stop by to visit. About a year later I was looking at colleges with my daughter and we found ourselves in Pittsburgh so we stopped by the fund’s office and they gave us such a warm welcome! Soon after, Mark Laskow asked me to consider serving on the Hero Fund Commission board, and I’ve been involved since. Why did your great-grandfather establish the Carnegie Hero Fund Commission? What differentiates the Carnegie Hero Fund from other awards for heroism? The criteria that is so important is that the Hero Fund awards civilian heroes. Andrew Carnegie was passionate about world peace, and he didn’t want the fund to award those who are paid and trained to fight. He wanted to recognize the common person who suddenly saw a situation, immediately reacted, and took themselves out of safety to put their own lives on the line to save a stranger. What does the Hero Fund mean to you? The Hero Fund means a great deal to me. Out of all the Carnegie institutions, the Hero Fund was Andrew Carnegie’s own idea. His “ain bairn”— his own child. I don’t have a big role but becoming a part of the Carnegie Hero Fund Commission was the greatest gift that could have possibly been given to me. It has enabled me to not only contribute in some small way to the legacy of my great-grandfather, but it has offered me opportunities to meet new, interesting people and to learn about the causes he was passionate about through his institutions’ continuing work. Andrew Carnegie’s way of giving was so unique. Many people, including me, view him as the Father of Modern Philanthropy. He gave in a time whem there were no tax incentives, nothing compelled him to give, but he did it because he felt in his heart that this was his mission. But the brilliance in his vision was his trust in future generations. He didn’t limit his institutions, he set them up, told them what his hopes were, and said “I believe that you who will be managing this in the future will know better than I do on how to make the best possible use of the funds I am endowing you with.” He knew he couldn’t predict the future, and that is why we sit here today with a vibrant living legacy of a man who died 100 years ago. I don’t think Grandpa Nagie could have ever imagined what he created. I think the institutions have grown beyond his greatest expectations. My hope is that what is happening now doesn’t ever stop, that the Medal of Philanthropy continues on, and the institutions continue to work together. Since establishing the Medal of Philanthropy there has been an energy around the institutions that doesn’t seem to be diminishing at all and Grandpa Nagie gave the institutions enough flexibility so they could evolve with the times. I don’t see anything that could stop them from continuing what they’re doing, if not doing even more down the road. In 10 or 50 years, the institutions may look very different, but they will always continue working towards a better world. How could Andrew Carnegie — the pragmatic and even hard-headed businessman — have believed that global peace was achievable? Carnegie was a peace activist from very early on. He believed that peace was inevitable, that mankind was progressing, and that war was a vestige of savagery. Like duels, feudalism, and serfdom, war would be eliminated over time, with the coming of an Age of Civilization that would replace the Age of Barbarism. To get to this peaceful world, one needed leaders, and Andrew Carnegie was going to do everything he could in his power to hasten the day when world peace arrived. Why did Carnegie establish the Peace Palace? He tried to build a structure for peace just as he had built his factories and steel mills. He was a dreamer, and nowhere were his dreams greater than when it came to the establishment of peace. He built the Peace Palace hoping that one day soon it would become the center of a new world court. Instead of sending young men to kill one another on the battlefield, nations would convene at a court of peaceable arbitration in the Peace Palace and settle their difficulties peaceably. The Hague was the “City of Peace,” and Carnegie was going to hasten the coming of peace through the Peace Palace, which was both a monument to peace as well as the home, he hoped, of an International Court of Arbitration. How did Carnegie envision conflict between nations being settled? He had a simple, two-stage process in mind. The nations of the world would come together two by two and sign treaties of arbitration. The Americans and the British would begin the process by signing a treaty that compelled each nation to submit its difficulties with the other nation to arbitration. Once the British and the Americans had signed this bilateral treaty, then the British would sign one with the Germans, and then the Americans would sign one with the French — like dominoes. All of these bilateral agreements would lead to what he called a “League of Peace” that would be centered at The Hague. Concurrently, the nations of the world would begin to establish international laws of arbitration. There was no such thing as international law at the time, but the treaties of arbitration, the League of Peace, and the creation of a body of international law would all render war obsolete. Or so Carnegie hoped and dreamed. What was Carnegie’s greatest accomplishment in peacebuilding? There are three interrelated aspects to Andrew Carnegie’s legacy for peacebuilding. First, there are his organizations themselves. Almost all of them in one way or another are dedicated to creating a peaceable world — not just the Carnegie Endowment for International Peace, which has “peace” in its name, but certainly Carnegie Corporation of New York, and the Hero Funds are dedicated to the notion that heroism does not consist in killing people on the battlefield. Heroism is simple, everyday acts of kindness and can involve risking one’s life to help another person. His institutions are his legacy. Second, the Peace Palace building. Most monuments are to war, to soldiers, and to generals. The magnificent palace in The Hague is a monument to peace. Third, Carnegie sets an example through his unflagging determination to end war. His argument was simple: war is not inevitable. He just kept pushing for peace. It didn’t matter if people made fun of him. He got a lot of ridicule from people he trusted, like Teddy Roosevelt. That example — the willingness to dream, to be a utopian, and to be a pragmatist on the path to peace — that’s Carnegie’s legacy, and it remains alive today. How do you think Carnegie will be remembered, in the context of peace, a century from now? One hopes there will be a steady movement in the direction that Carnegie set out for us, toward peaceable resolution. If you look at the world today: yes, there is strife and warfare, but there has not been a third world war, and hopefully there will not be one. Andrew Carnegie, more than 100 years ago, tried to convince world leaders that in the modern era, war is too deadly and weapons are too advanced. Maybe some part of Carnegie’s message is getting through, and perhaps progress is continuing toward its logical conclusion. David Nasaw is an American author, biographer, and historian who specializes in the cultural and social history of early 20th-century America. Arthur M. Schlesinger, Jr. Distinguished Professor of History at The Graduate Center, City University of New York, Nasaw is the author of Andrew Carnegie (2006), a New York Times Notable Book of the Year, the recipient of the New-York Historical Society’s American History Book Prize, and a finalist for the Pulitzer Prize. During the 2018 Carnegie Peacebuilding Conversations in The Hague, Professor Nasaw found the time to consider a few questions about Andrew Carnegie’s peacebuilding efforts. Andrew Carnegie made his fortune and spent much of his life in the United States, but he came from humble beginnings in the United Kingdom, a country that stayed close to his heart. Carnegie purposefully left his mission for the Carnegie UK Trust broad, to ensure that the organization remained relevant into the foreseeable future. The Trustees were given the freedom to direct their efforts “as best fitted from age to age.” Carnegie understood that with new times come new challenges and new needs. For more than 115 years, this flexibility has afforded the Carnegie UK Trust the ability to deliver upon its mandate, especially through periods of enormous hardship for the people of the United Kingdom. For example, during the Great Depression, the Carnegie UK Trust developed a longstanding program to fund social welfare projects, addressing issues of poverty, employment, and urban renewal. As unemployment and poverty levels in the late 1920s and early 1930s grew, the Trust began to support initiatives to help communities most impacted by economic upheaval. The Trust worked closely with the National Council of Social Services to improve the social and cultural life of people in mining communities. It also invested in the innovative Land Settlement Association (1934–39), which resettled thousands of unemployed workers from depressed industrial areas to rural areas, enabling them to achieve livelihoods as small-hold food producers. As World War II raged across Europe in the following decade, the UK was not spared tremendous loss, suffering, and damages. The Carnegie UK Trust established a number of national Commissions of Inquiry at the time. 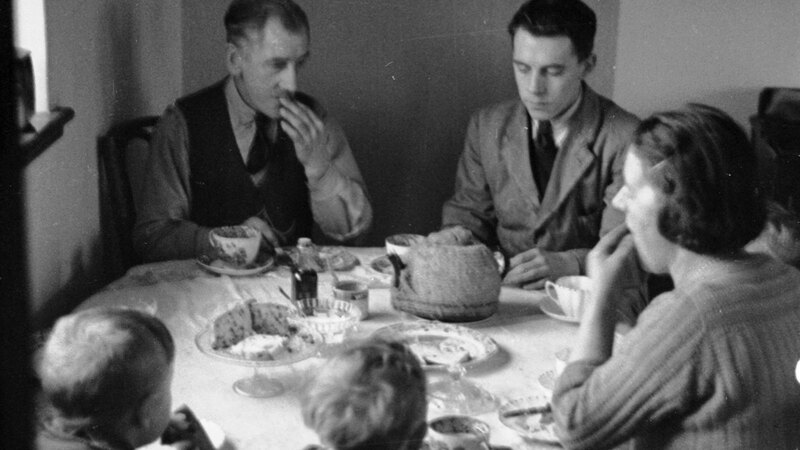 Trustees and Commission members such as Lord Wolfenden and Dame Eileen Younghusband were among the leading architects of the British welfare state, the social safety net that came into its current mature form in the aftermath of the war. The Trust was also an important advocate of and investor in comprehensive social work and youth and community services. Remaining focused on both the present and the future, the Carnegie UK Trust continues to develop five-year strategic plans to adapt to the most pressing issues, often electing to take calculated risks, investing in projects that are often seen as not far enough along in development for either the government or smaller organizations to tackle at the time. Today the Trust’s 2016–2020 Strategic Plan focuses on improving well-being through four key initiatives: Digital Futures, Enabling Wellbeing, Flourishing Towns, and Fulfilling Work. The Carnegie UK Trust is dedicated to investing in evidence-based policy development and translating and applying its findings to real-world issues. As part of its most recent strategic plan, the Trust has sought to understand why more than 13 million people in the United Kingdom lack credit or have a poor credit history, and to then seek out better options for those individuals. The poor or people with troubled credit histories are all too often excluded from access to mainstream credit, forcing them to resort to high-cost, short-term and often unscrupulous lenders. The question of how to make affordable credit available to people across the UK has long been a complex, contested, and highly fraught public policy issue. Carnegie UK Trust’s Affordable Credit project seeks to bring new solutions to this area with a focus on identifying alternative options to the commercial high-cost credit market. The Trust recently partnered with Emmy Award-winning actor Michael Sheen to raise awareness of this important issue, which affects millions across the United Kingdom. Meanwhile, its Affordable Credit Action Group works to develop and implement recommendations to overcome some of the structural issues that inhibit the expansion of affordable credit. Making progress on these and many other issues, the Carnegie UK Trust delivers a clear set of messages to influencers and decision-makers. The Trust’s recommendations continue to bring about change and improve well-being for people across the UK and Ireland — just as Andrew Carnegie envisioned. In 1910, driven by a bold mission to “hasten the abolition of international war,” Andrew Carnegie bestowed $10 million toward the creation of the Carnegie Endowment for International Peace, in Washington, D.C. Though the world has undergone radical change since then, the organization’s central mission remains unchanged: the advancement of international cooperation to promote world peace through policy research conducted in collaboration with leaders from government, business, and civil society. 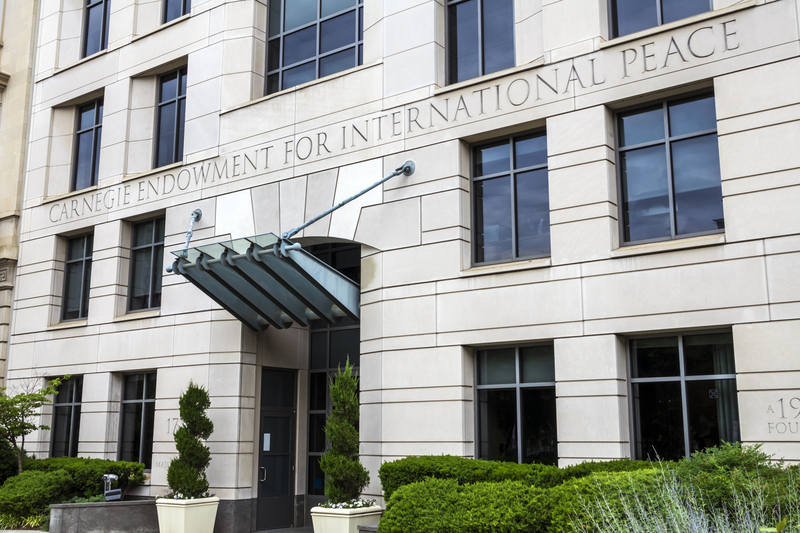 Carnegie Endowment for International Peace has had 10 presidents since its inception, all of whom have cultivated the organization’s three guiding principles: a commitment to rigorous policy research, a steady focus on effecting concrete global change, and a capacity to respond nimbly to shifting geopolitical currents. Today, Carnegie Endowment for International Peace employs a growing roster of more than 100 foreign-policy experts based in 20 cities worldwide — from Beijing to Brussels to Beirut. Carnegie Europe, founded in 2007 and based in Brussels, focuses on European foreign-policy analysis. Its scholars conduct research and make recommendations around such fraught issues as the future of EU-Iran relations, the implications of Brexit for the future of Europe, and the challenges posed by shifting military alliances. In the last few months alone, the organization has brought together experts on Turkey with key representatives of several EU institutions to coordinate the 28-member bloc’s policy towards Ankara regarding migration, visa-free travel, and accession to the EU. And, earlier this year, a senior representative from the German government sought out the organization’s assistance in addressing disagreements on issues like free movement and migration, which have threatened to divide the EU in recent years. Andrew Carnegie’s central abiding commitment to pacifism informs all of Carnegie Endowment for International Peace’s foreign-policy efforts, guided by an impressive array of experts and policymakers who have earned the institute global renown. In March of this year, Carnegie Endowment for International Peace announced the election of Robert Zoellick, former president of the World Bank and former U.S. trade representative, to its board of trustees. And in 2017, former U.S. secretary of state John Kerry was named visiting distinguished statesman. Andrew Carnegie was prone to saying, “Aim for the highest.” Aiming for world peace is indeed a lofty objective. The Carnegie Endowment for International Peace continues Carnegie’s core mission, seeking collaboration, understanding, and engagement to prevent war and enhance prospects for global concord. From a mural at the school to souvenirs at the campus bookstore, you will see that phrase everywhere at Carnegie Mellon University in Pittsburgh. Uttered by Andrew Carnegie over 100 years ago, the words are rooted in the very ethos of the school to this day. Andrew Carnegie had little formal education, but he believed deeply in the power of books and learning. During his formative years, he spent many evenings absorbed in the 1,500-volume library of a local businessman, Colonel James Anderson, who opened his personal collection of books to local working boys. Once he had accumulated his fortune, Andrew Carnegie devoted himself to giving away virtually all of his wealth during his lifetime, creating a wide range of philanthropic, cultural, and educational institutions, including the founding of 2,509 libraries, paving the way for future generations to have access not only to books, but to knowledge, understanding, and opportunity. The university’s story started in 1900 with a $1 million donation from Andrew Carnegie. The idea was first to create a technical institute where Pittsburgh’s working class could learn practical skills, trades, and crafts. The Carnegie Technical Schools soon began offering bachelor’s degrees. In 1967 “Carnegie Tech” merged with the Mellon Institute of Industrial Research (an independent research corporation founded in the 1930s by the prominent Pittsburgh family of financiers and philanthropists) — and with this, Carnegie Mellon University was officially established. Today, Carnegie Mellon University has 14,000 students enrolled in more than 26 degree programs spread across 14 countries. The university’s vision is to have a transformative impact on society through continual innovations in education, research, creativity, and entrepreneurship. The impressive roll call of the university’s alumni and faculty confirms that this vision is not merely aspirational. There are the winners of — for starters — 116 Emmy Awards, 44 Tony Awards, 20 Nobel Prizes, and 10 Academy Awards. The university’s engineers have created robots that can walk on water. One of its alumni generated the idea behind the hashtag symbol on Twitter. Another became known as the “Father of Java” for inventing the computer programming language. The roster of famous alumni includes names like Mel Bochner, Albert Brooks, Ted Danson, Holly Hunter, George Romero, and Andy Warhol. 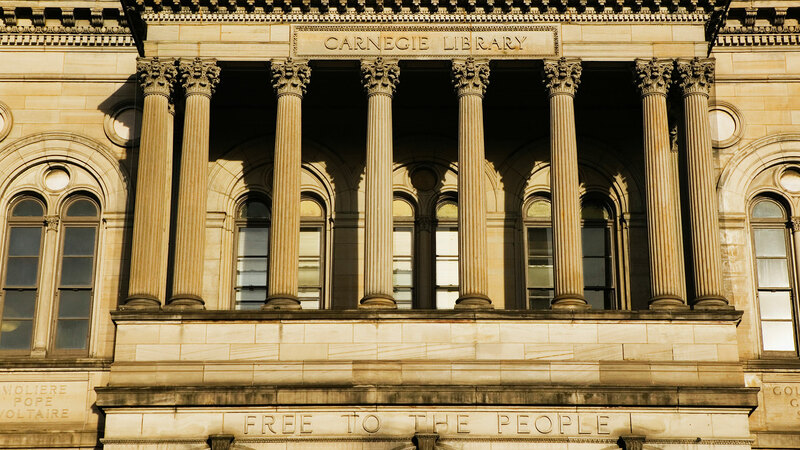 As an institution, Carnegie Mellon University can boast of many firsts. Its reputation in the fine and performing arts dates to 1906 with the founding of the School of Applied Design, one of the first comprehensive arts teaching institutes in the United States, growing quickly into a world-ranked leader in architecture, art, design, drama, and music. Carnegie Mellon established the nation’s first robotics institute in 1979, and in the 1980s it became the first university with a wired campus. The first green dormitory in the U.S. opened at CMU in 2003. The university today enjoys international recognition, ranking top in the country in areas like computer science and information and technology management. A pioneer in many fields, Carnegie Mellon University emulates its founder’s commitment to progress and innovation. Andrew Carnegie would undoubtedly be proud of the university’s many distinctions, its commitment to social impact, and its ambitious plans for the future. 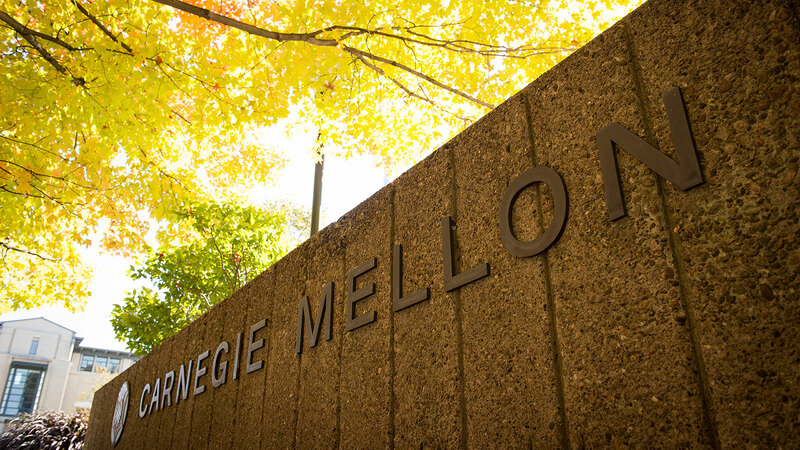 Carnegie Mellon University not only sustains its founder’s vision — it is amplifying it. The achievements — of its students, faculty, and alumni — demonstrate the power of education, just as Andrew Carnegie intended. Photo: © Carnegie Mellon University. All rights reserved. 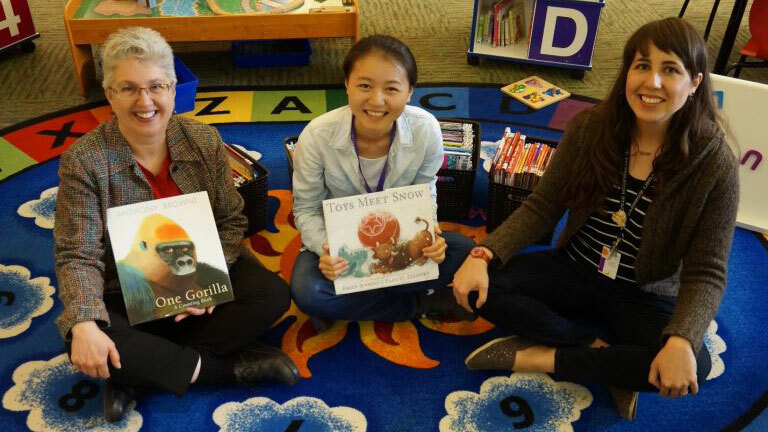 At the Library, Zeng tapped into her passion for working with children. She partnered with staff to create a list of 100 famous American and Chinese picture books for the Library to exchange with a school in her old hometown of Wuhan in Central China. Thanks to the joy of reading, children thousands of miles apart were brought together. Since its inception in 1895, the Library has moved with the times and continues to look to the future. In addition to providing many electronic books, laptops for loan, and hotspots to help bridge the digital divide, Carnegie Library will soon offer coding lessons and, in response to Pittsburgh’s increasingly diverse population, will make more works available in translation in an even wider range of languages. Andrew Carnegie once said, “A library outranks any other thing a community can do to benefit its people,” and nearly a century after his death, Zeng and many others continue to enjoy an institution he cherished so deeply. Another institution beloved by residents and visitors alike is Carnegie Museums of Pittsburgh, comprised of Carnegie Museum of Art, Carnegie Museum of Natural History, Carnegie Science Center, and The Andy Warhol Museum. “I think Andrew Carnegie would be particularly proud of what his museums have become: a family of four distinctive, dynamic museums that, collectively, reach nearly 1.5 million people a year, including hundreds of thousands of schoolchildren,” observes Carnegie Museums’ board member Bill Hunt. Whether it’s Dinosaurs in Their Time, the natural history museum’s impressive core exhibition, or the Science Center’s popular sports and science-related exhibits, Carnegie Museums of Pittsburgh strives to bring the best in art, science, and history to the Steel City, just as their original benefactor intended. A century after Andrew Carnegie’s passing, the museums are staying true to his mission while adapting to modern times. The dinosaur exhibition is now nearly three times the size of the original, The Andy Warhol Museum is North America’s most comprehensive single-artist museum, and the Science Center will soon open a four-story pavilion featuring everything from large-scale exhibitions to a digital giant-screen theater. “Some have wondered what our founding father would have thought of bringing a Science Center and The Andy Warhol Museum into the Carnegie Museums fold in the 1900s. I feel certain he wouldn’t have just liked the idea; he would have demanded it!” says Hunt. None of us know what the next century will bring. What we do know is that Andrew Carnegie’s library and museums will continue to embrace recent arrivals, such as Dutian Zheng, bringing literacy, learning, and opportunity to the Pittsburgh community.